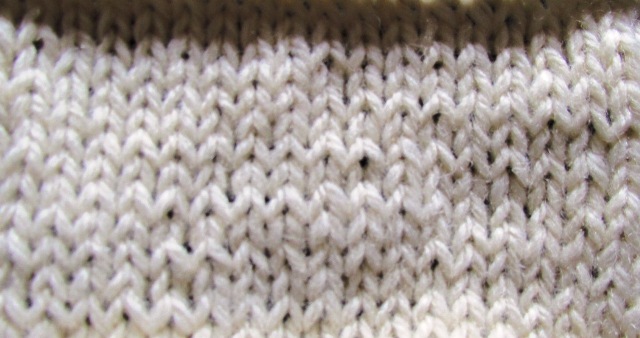 The knit stitch is one of the first knitting stitches to learn. 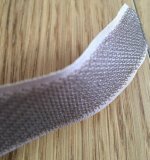 The knit stitch can look very different when intermingled with other types such as a purl stitch or just by itself. 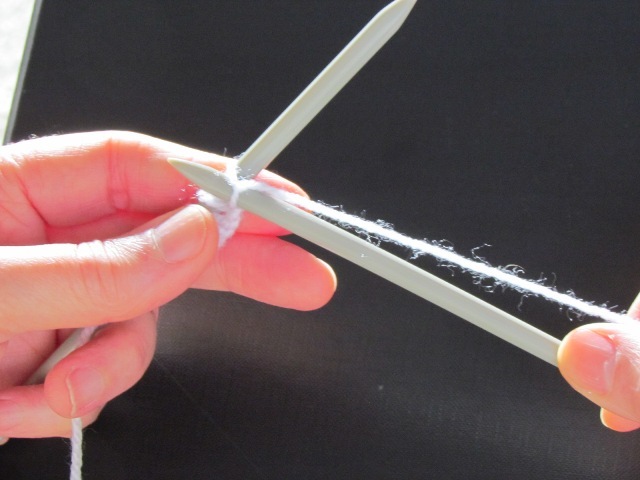 Choose the knitting needles that feels right and the type of wool to begin. 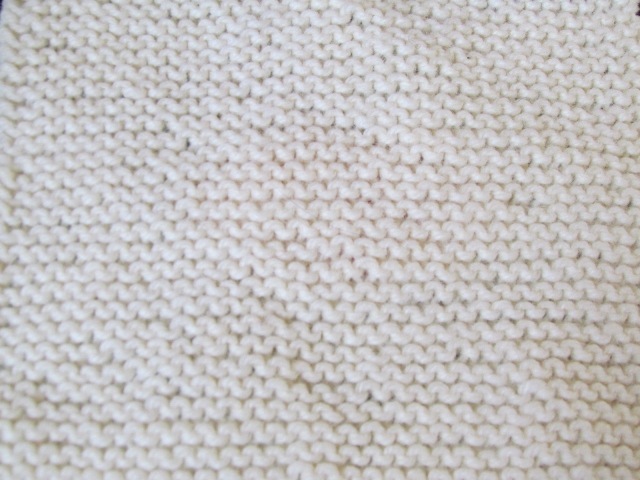 The second picture shows how the knitting will look if every row is the same. In patterns the abbreviation for this stitch is just a "k" and it sometimes has a number after it then only that amount of stitches would be knitted. The first picture shows the same stitch but this time a purl stitch is done on every alternate row giving a smooth "V" appearance with the back looking like the first picture. 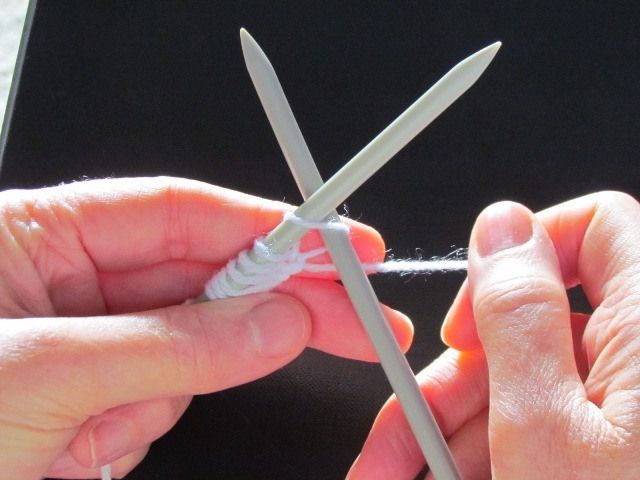 To start knitting, all the stitches need to be placed on the needle this is known as "casting on". When they are all on the needle then the first row can be started. In the description the first needle is the one with the stitches on it and the spare needle is the one without stitches at the beginning. Take the spare needle and insert it into the first loop without taking it off the first needle. Keep wool or yarn taut and not loose. Take the strand of wool and bring in between the first and spare needles. 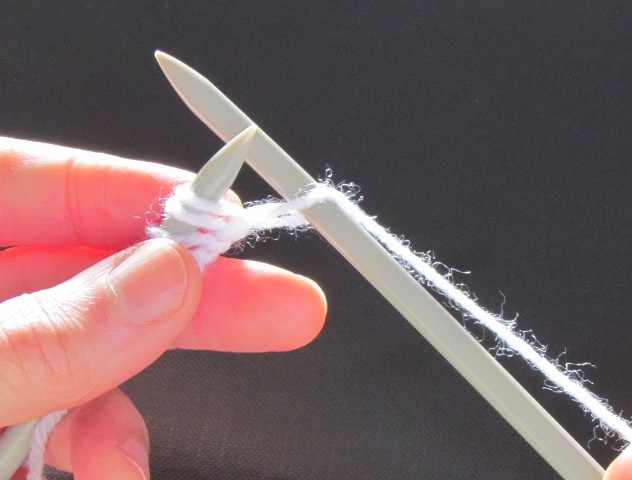 Bring the spare needle under the first needle to catch the strand of wool that was in between the two needles. As the spare needle goes under the first needle push it forward so the strand of wool becomes a loop on the spare needle. Slide the spare needle off the first needle keeping the first loop on the spare needle in place. Keeping the wool or yarn not too tight but fairly close to the rest of the knitting so no large gaps appear. Continue along the row until all the knitting is now on the spare needle. The first row of knit has now been completed. This stitch can be repeated and you will be amazed at how quickly your knitting grows. When finished the stitches will need to be cast off. This is good for making knitted squares which can be joined together to make a large or small blanket or a cushion cover. 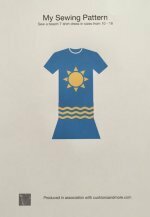 The cover can be made in one large square or a some in different colours to create a good effect. Large blankets can be used to throw on top of a bed or chair when you want to cuddle up and watch television in the evening. 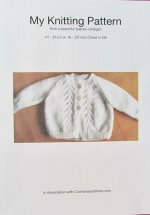 Smaller blankets are great for dolls, babies and pets and are a great way to practise all the different knitting stitches both basic and complicated. 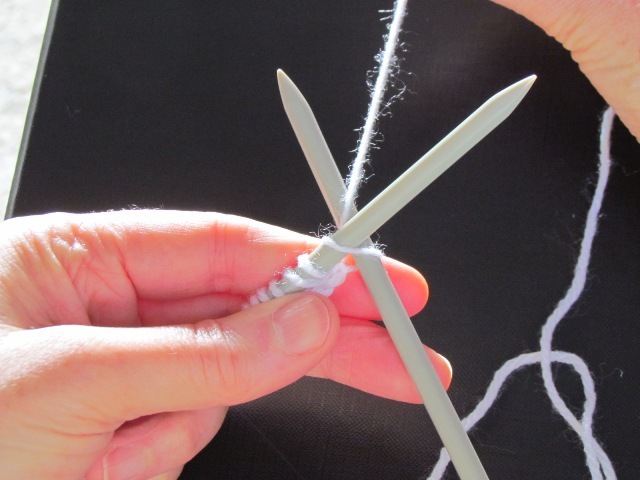 Another good item to start with is a scarf that can be made with this type of knitting. When it is finished a fringe can be added with some left over lengths of wool.